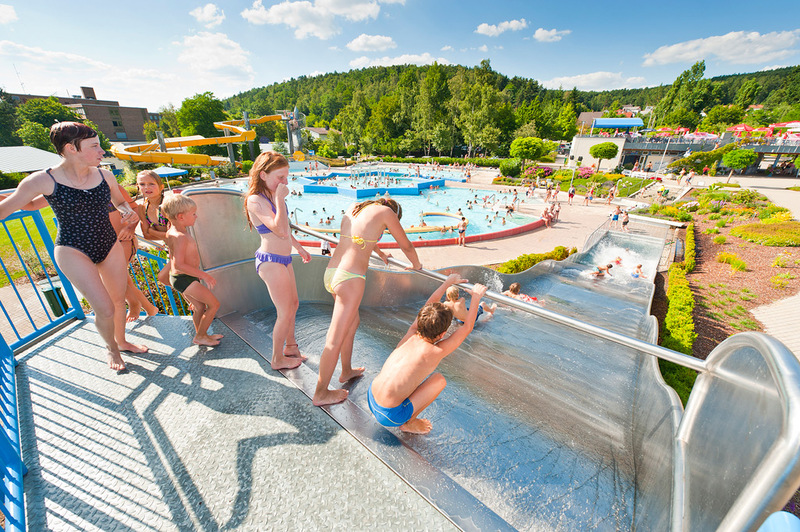 The highlight of the open-air pool Schwandorf – a nearly 20 metres-long wide wavy slide. 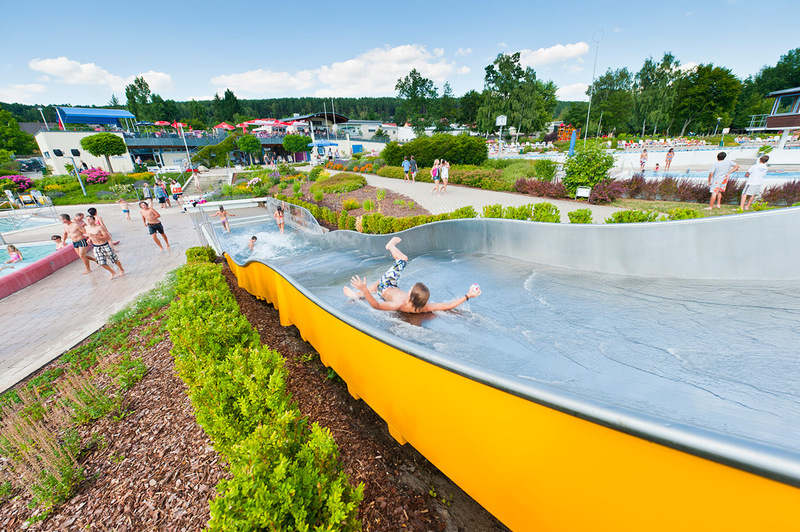 This wide wavy slide of the open-air pool of Schwandorf / Bavaria is the latest attraction guaranteeing speedy shared slide fun. The joining plunge pool whose sides are equipped with a Makrolon splash guard allows use of the slide independently from the swimming pool. 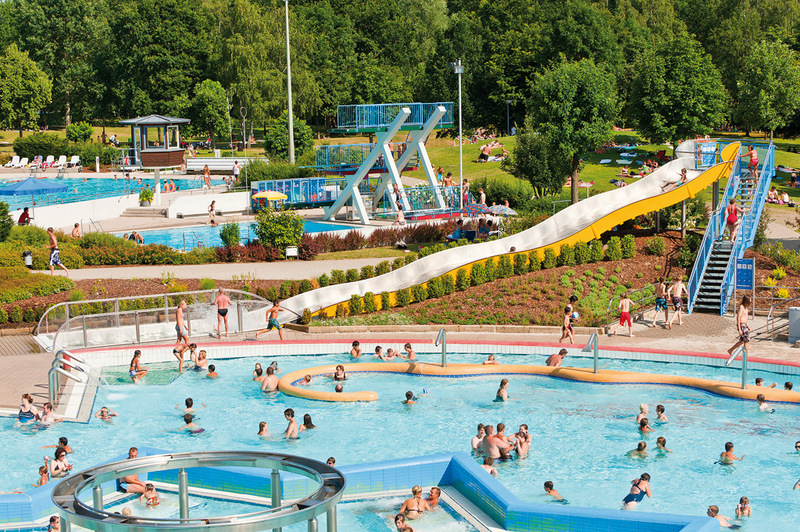 This option is of particular interest where space of the pool is limited and cannot be further limited by the safety area required for the slide’s exit. 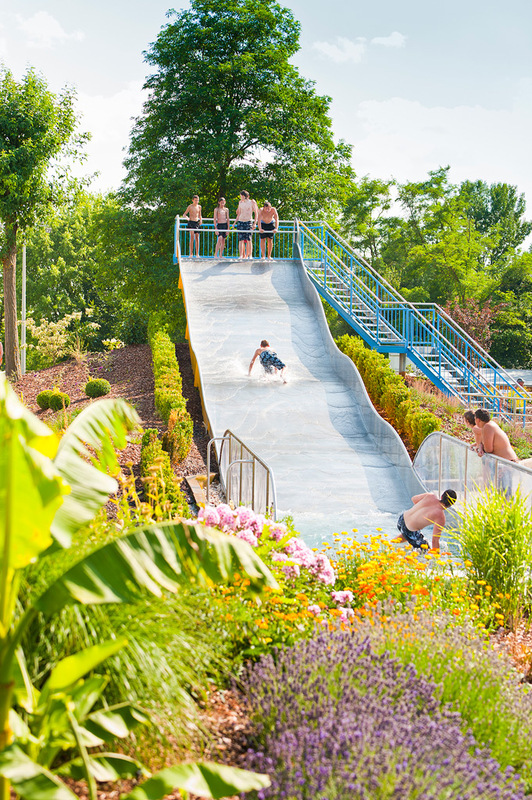 Visitors can reach the slide entrance via steps and an intermediate landing. 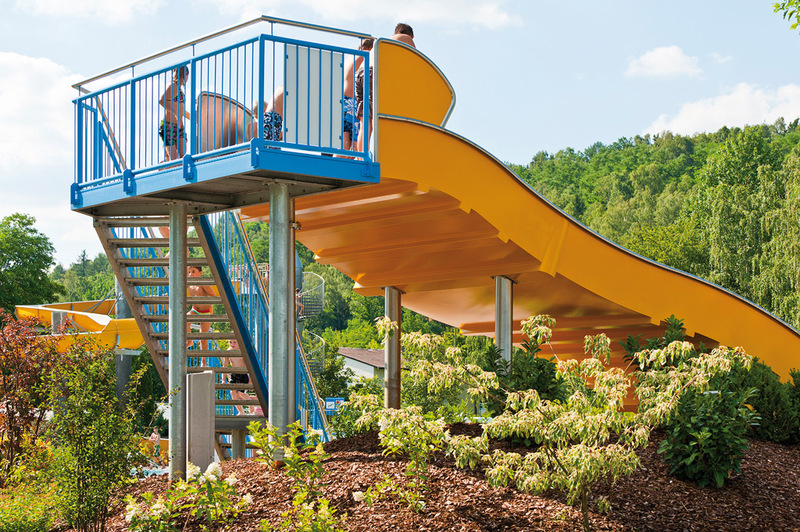 The yellow and blue painting of the slide as well as its blending in with the surroundings put the finishing touch to the pool and add an attraction to be proud of.